Although the sun hasn't peeked out much this week I want to share this very gorgeous summery polish with you today. There is one color family that has always been lacking from my collection and that is the reds. I don't think they compliment my hands at all and it was always just a bit bold for my liking. 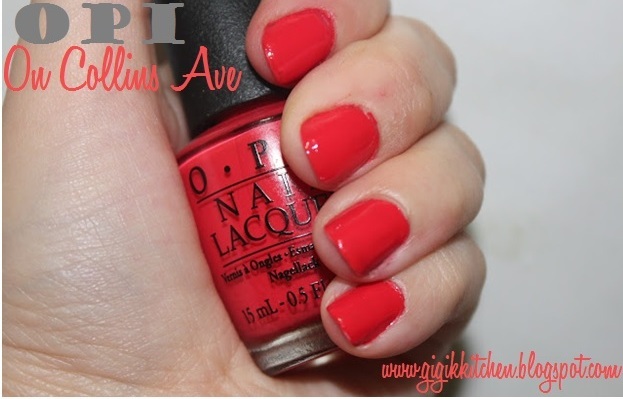 OPI's on Collins Ave is of my more recent polish purchases and is one of the few polishes in my collection that comes close to those reds. I think I'm beginning to prefer the OPI polishes to the Essie ones and if you read my blog often you will know that is absolutely huge for me. The formulation is quite thick on this one which means 1-2 coats maximum is all that is needed to get a full on opaque look. The brush is not my favorite since it's splays out quite widely and needs to be controlled really well to get a precise application. Doing home manicures isn't one of my strong points either (as you can see) so the easier I can apply a polish the better! A detail that sets these polishes apart from several others I've tried is that they dry so fast. I can easily wait a good 20 minutes for an Essie nail polish to set completely (without my favorite Demart Nail Enamel Dryer Finishing Spray) but with these it's 2 minutes at the very most which is ideal when I'm in a rush. A downside I've found is that this polish chips fairly quickly, in fact within 12 hours of wear dents at the tips already begin to occur. If you don't mind doing touch ups that won't be a deal breaker though. I've also noticed that this color has a glass like shine to it's finish which adds a really nice touch to a polish in my opinion. The color itself is very bold with it's orangey coral tinged red tones so it definitely doesn't fit in with those typical pastels I normally adorn this time of year. At the same time I quite like this shade and find it's more wearable then those straight up reds. Although I will continue to be picky when it comes to red nail polishes this one is a new favorite! The OPI polishes range anywhere from $8-$13. It seems to me that drugstore.com has the lowest price to offer so I will most likely add a few to my cart along with my next order. This summer I plan on branching out with my nail polish brand selections. China Glazes new Sunsational Collection is definitely on my mind with it's vibrant creamy neons! What do you think of this shade? What is your favorite nail color or specific nail polish to wear in the Summertime? 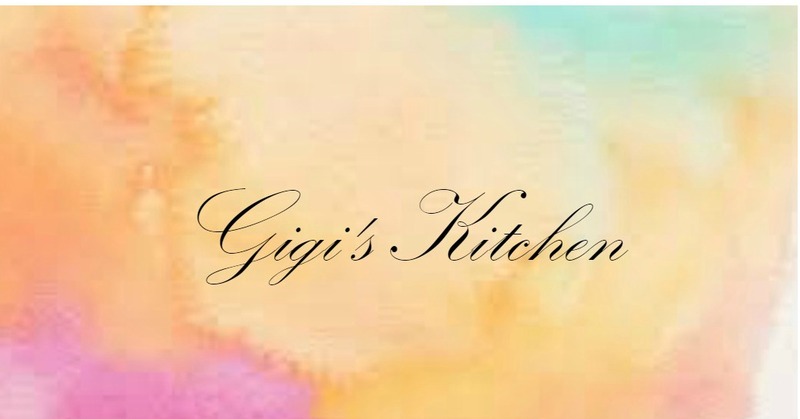 Leave me a comment below- I love hearing from you! !